Introducing RFLKT Eyewear, a premium brand from EyeBuyDirect. Whenever we sit down to create new frames, we always draw inspiration from the world around us. For RFLKT, we have taken our cue from contemporary architecture and design. Each frame and its name embody aspects of the modern cityscape. In our quest for quality, RFLKT frames boast premium materials and components designed in Italy and Germany. 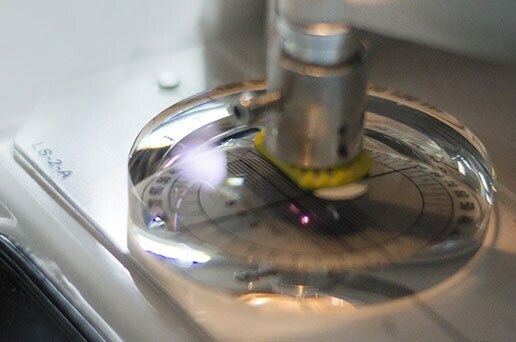 Below, learn more about what goes into each pair of glasses from RFLKT. Every frame is cut with mechanical precision. 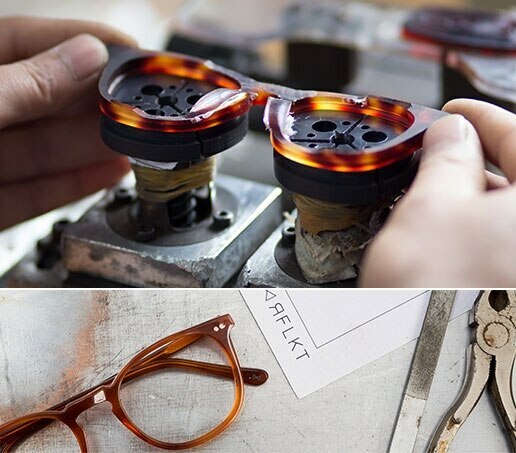 For acetate frames, the fronts are tumbled and polished while the temples are stamped, hand smoothed, shaped, and prepared for assembly. Next, the temples are then connected to the front with hinges. 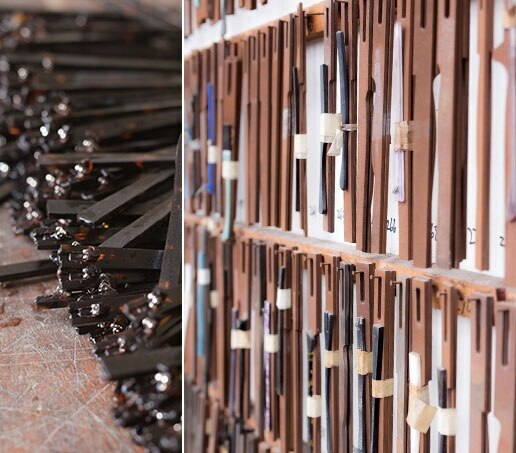 Finally, each frame receives one last round of smoothing and shaping by hand, and then is inspected for quality. RFLKT features frames designed from a variety of premium materials. Selections such as Aura and Nostalgia are cut from Mazzucchelli Italian acetate, whereas the Matte Silver and Black Steel styles of Outline feature a unique combination of a stainless steel front and wooden temples. 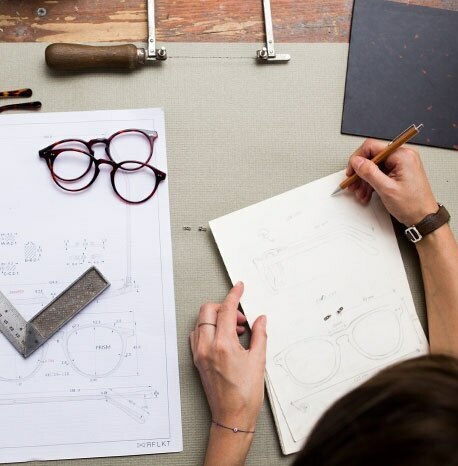 All glasses are assembled with premium components to ensure both long lasting life, as well as ease of wear. Each frame is constructed with either Italian triple barrel hinges, the standard of sturdiness, or OBE German spring hinges designed to conform for comfort. Frames such as Outline, which have stainless steel fronts, also include adjustable nose pads to ensure the frame fits any face. All glasses in RFLKT feature premium 1.59 index polycarbonate lenses. Thanks to the special properties of polycarbonate, these lenses are naturally UV protective, lightweight, and shatter resistant. All lenses also receive an anti-reflective coating to reduce glare from lights, as well as an anti-scratch coating to protect the lens surface. EyeBuyDirect was founded on the belief that quality eyewear should be accessible, and more importantly, affordable to everyone. We make donations to charitable organizations that share our passion for vision correction. As of January 2018, we have given over 350,000 pairs of glasses to Feed the Children, an organization that delivers essentials to children and families. We believe kids should have access to corrective vision, which would enable them to effectively learn and grow.